The median price for Massachusetts single-family homes sold in March increased 8.6 percent to $315,000 compared to $290,000 in March 2013, The Warren Group, publisher of Banker & Tradesman, reported April 23, 2014. March marked the 18th consecutive month that monthly median home prices increased year-over-year. The median price in the first quarter increased 7 percent, from $285,000 in Q1 2013 to $305,000 during the first three months of 2014. The Warren Group collects sales and price information from the state's registries of deeds. The Massachusetts Association of Realtors (MAR), which collects its sales and price data through local multiple listing services (MLS), reported a 8.3 percent increase in single-family home prices to $314,063 in March 2014 compared to $290,000 the previous March. Sales of single-family homes in Massachusetts declined for the fourth time in five months in March 2014. 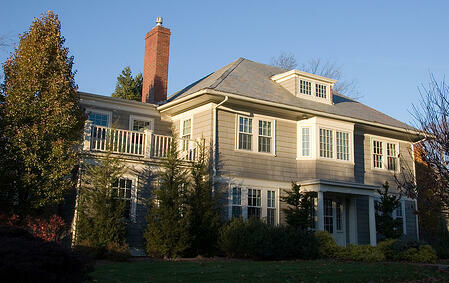 Single-family home sales decreased 7.8 percent to 2,749 in March compared to 2,980 in March 2013. Home sales in the first quarter of 2014 slipped 2.4 percent to 7,557 from 7,745 in Q1 2013. The lack of real estate inventory, especially in the Greater Boston Area, is the cause of both the decline in Massachusetts home sales and the increase in home prices. With a limited number of homes to purchase, home buyers are increasingly willing to offer list price or more for homes. The inventory of single-family homes as of March 31, 2014 decreased 13.9 percent from March 2013, according to MAR. March marked the 25th straight month of inventory decreases. The median price for condominiums sold in March was $291,500, an increase of more than 10 percent from $264,000 in March 2013, according to The Warren Group. The first quarter median condo price was up more than 15 percent to $290,000 from $250,500 during the prior year’s first three months. MAR reported the median selling price for a Massachusetts condominium in March was $300,154, an 11.2 percent increase from the $270,000 median condo sale price in March 2013. The Warren Group reported condominium sales increased 12.6 percent in March 2014, with 1,328 sales compared to 1,179 in March 2013. A total of 3,420 condo sales were recorded in the first three months of this year, a 12.2 percent increase from the 3,049 transactions recorded in Q1 2013. With increases in single-family home prices over the past year, many Massachusetts first-time home buyers cannot afford a single-family home in their desired location, so they are turning to condominiums as an alternative. The opposite was true when the real estate market was declining several years ago. Condominium prices in some locations were hit harder because more home buyers could afford single-family homes and didn't need to consider a condo. The dire inventory situation may be improving for Massachusetts home buyers. The number of new listings added to the market of single-family homes in March increased 12 percent compared to March 2013 (7,110 new listings in 2014 from 6,347 in 2013), according to MAR. The number of new condo listings in March decreased less than one percent (-0.8 percent) from March 2013 (2,651 new listings in 2014 from 2,672 new listings in 2013).